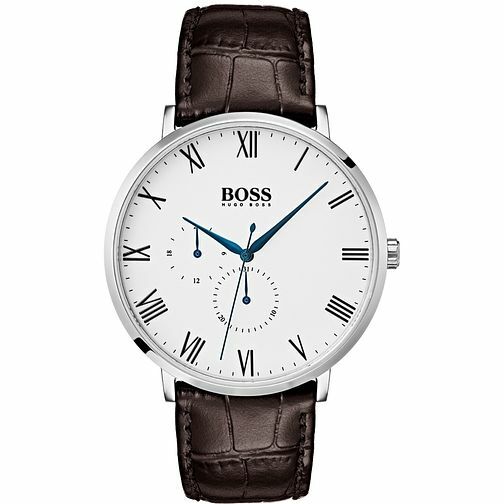 Hugo Boss presents a minimalistic classic design with the William model. A crisp white round dial features black roman numeral hour markings, dark blue hands, and two subdials integrated into the white main dial. A textured brown leather strap completes this timepiece, a sophisticated model for the modern man.